Somewhere between these two quotes from the book lies the mystery of its quest. 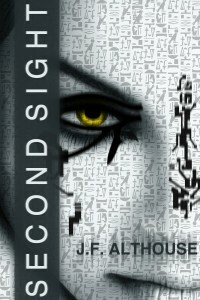 Second Sight is a story – designed and authored by an architect – that uncovers the awesome mystery behind the development of God’s grand schema written by His consciousness through the hands of His characters –“written in primordial time, in the PRESENCE, with black fire on white fire” (Rashi). Were there cataclysms in our past that initiates were able to safe-house wisdom against? Are there Ages to the human species that we have not uncovered or deciphered? Is outer space somehow connected to inner space? 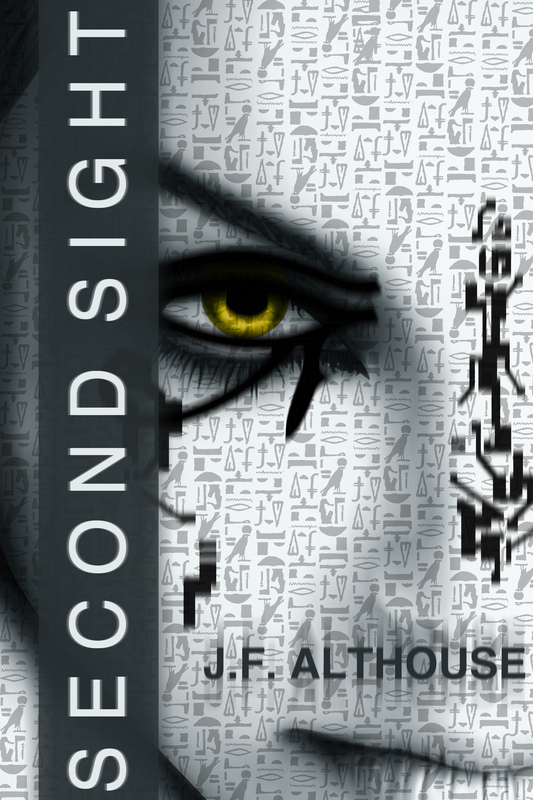 Second Sight leads us on a profound questioning path toward these concepts. We bounce back and forth, in the book, between time present, time past, and future time. We are hurled between inner space and outer space. The far reaches of the galaxy are hidden in our present tunnels and pathways to antiquity. The book starts with a personal tragedy that draws you in to the life of the main character with a deep sense of longing for his survival. It does not take long for the hook to be set by the author. Once hooked, you cannot stop following the line – hoping to catch a glimpse of the one who has snagged you and begun reeling you in. You are always left wondering whether what you are reading is real – the greatest sign that you have been caught. You’ll find yourself wanting to “Google” most of what you uncover. One minute we are buying Cool-Whip in a convenience store and the next we are standing at a five storey sand plume by the pyramids in Egypt. The search for the prize – like the longing for the philosopher’s stone – never escapes your racing heart. Staring into the Abyss has never been so riveting. The Kybalion quotes the ancient Hermetic principle, “As above, so below. As inside, so outside”. Jack Althouse, in his book, walks us through these principles with a verbal artistry that reveals a landscape not a concept. We are climbing down holes, through tunnels, and space itself to find more than tablets of gold and arcane artifacts, we are searching for a treasure of great price. We search and wonder where we will end up next, only to find out that it is the place where all heaven and earth collide. To find it, you’ll have to read this thrilling journey – this amazing book. There can be no escaping the fact that this story has to be told. It is a matter of life and death. You will not be able to put the adventure down until you have gobbled up his every word. One thing is for sure, your compass will never look the same to you again. You can bet there will be more to come! Pick up the first chapter from either page. Jack’s Website http://jfalthouse.com/ – you can get four chapters of the upcoming book here!